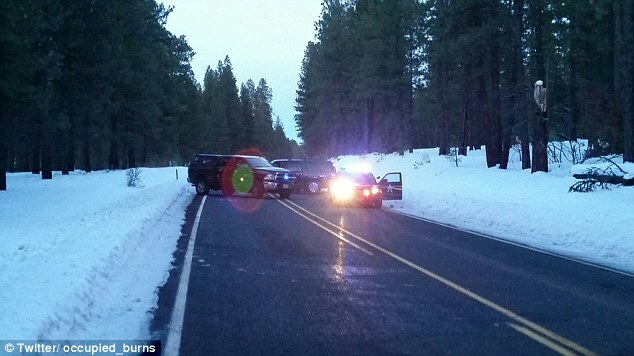 Breaking: Oregon militia member shot dead as routine traffic stop turns into shootout with FBI, Ammon Bundy arrested, Ryan Bundy wounded. 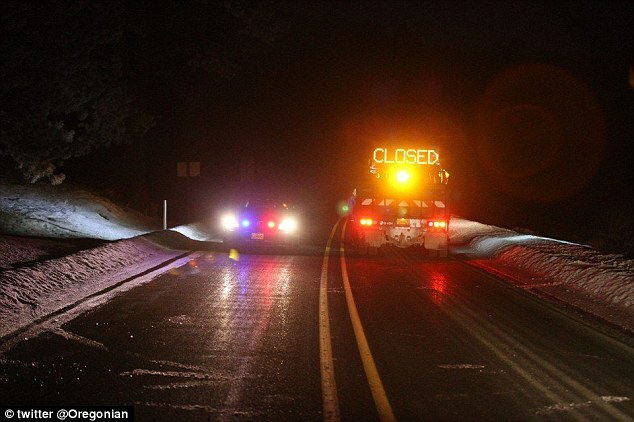 UPDATE, January 26, 2016, 9 PM, PST: From Powdered Wig reader, Harris Mallery, Jr….. Burns Oregon UPDATE! Fiore, a vocal supporter of the Bundy family, said that Ammon Bundy told his wife that Finicum was cooperating with police and had put his hands up. Then, Fiore said, Bundy told his wife that he watched police shoot Finicum three times. She said that Ammon Bundy also said Finicum was on the ground when he was shot. 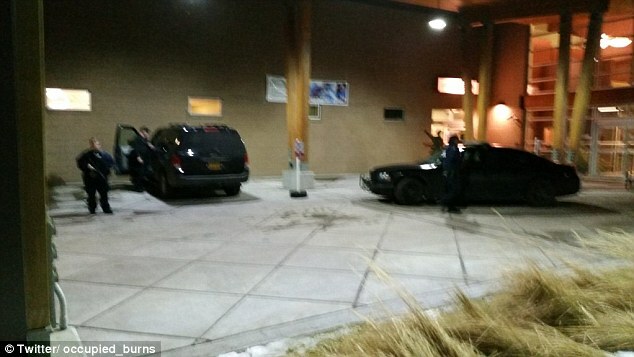 Ammon Bundy has been arrested and his brother Ryan was wounded in a shoot-out with FBI officers that left one of their militiamen dead, reports claim. 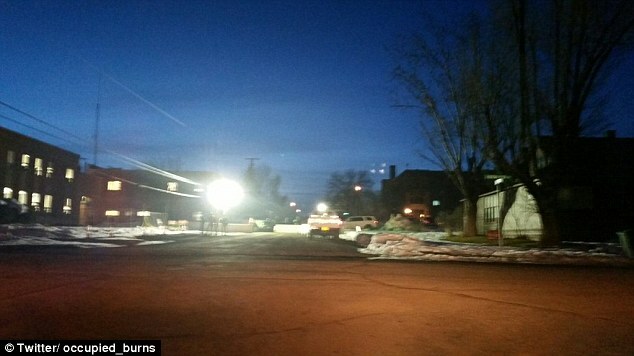 It is the climax of a tense stand-off between federal agents and the activists more than three weeks after they took over a government building in Burns, Oregon, to protest two ranchers being jailed. They were driving to a community meeting with eight other activists on Tuesday afternoon when they were stopped by traffic cops, according KATU. 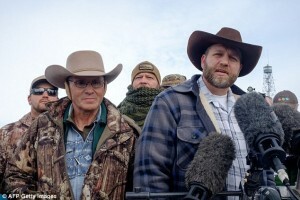 Within minutes, shots were fired, wounding Ryan Bundy and killing an unidentified militiaman. It is not clear who opened fire first. Ammon Bundy and three others – Ryan Payne, Brian Cavalier, and Shawna Cox – were detained and charged with conspiracy to impede federal officers, Oregon Live reports. The hospital where Bundy and the unidentified victim were taken, St Charles Medical Center, is now on lockdown. Frustrated local and state officials have been increasingly urging the FBI to do something to resolve the situation. Bundy and his group have held frequent news conferences at the site, travelled to meet with sympathizers and others to espouse their views and some even attended a community meeting last week, where local residents shouted at them to leave. Federal authorities have taken a hands-off approach so far and say they want a peaceful resolution. 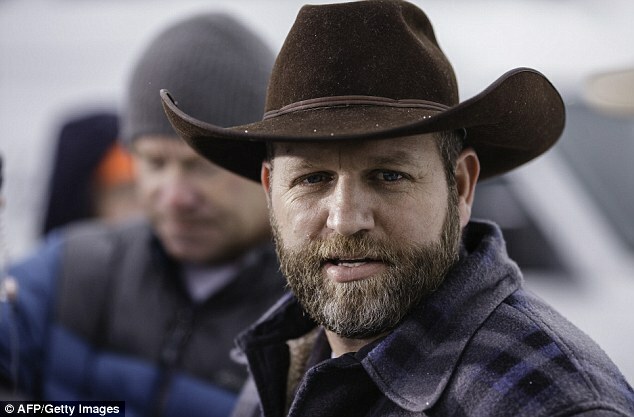 Bundy has been in contact with an FBI negotiator and local law enforcement. On Friday Bundy went to the Burns Municipal Airport, where the FBI has set up a staging area, and met briefly with a federal agent. Bundy left because the agent wouldn’t talk with him in front of the media. Sieges by federal authorities in the early 1990s led to deadly standoffs in at Ruby Ridge, Idaho, and Waco, Texas. The group took over the Malheur National Wildlife Refuge on January 2 after a peaceful protest in nearby Burns, Oregon, over the conviction of two local ranchers on arson charges. Dwight Hammond, 73, and his son Steven Hammond, 46, said they lit fires on federal land in 2001 and 2006 to reduce the growth of invasive plants and protect their property from wildfires. The two were convicted three years ago and served time — the father three months, the son one year. But in October, a federal judge in Oregon ruled their terms were too short under U.S. law and ordered them back to prison for about four years each. Among the demands by the Bundy group is for the Hammonds to be released. The alleged arrests on Tuesday come after an Army veteran was arrested for a DUI while he was heading to join the militia occupying federal land in Oregon.